In my previous articles i have explained about the different Business Analytics concepts. In this article i would like to explain about ETL Definition and ETL process in brief.If you see that in real world the person always deals with different type of data. There are many situations where user needs to use the physical data in digital way.Just like a physical assets Organization needs to manage its data assets also. Here the ETL Comets to the picture. As the name suggested ETL stands for Extract Transform and Load.Just like the name applies ETL tool Extracts data from the source.Transforms the data while in transit and then it loads the data in to Specified database. ETL is nothing but Extract,Transform and Loading of the data from multiple heterogeneous data sources to a single or multiple sources. ETL is nothing but Extraction,Transformation and Loading of the data. I have explained different ETL Definition in previous section. In this section i would like to give you some important ETL examples. The most common example of ETL is ETL is used in Data warehousing.User needs to fetch the historical data as well as current data for developing data warehouse. The Data warehouse data is nothing but combination of historical data as well as transactional data. Its data sources might be different.User needs to fetch the data from multiple heterogeneous systems and load it in to single target system which is also called as data warehouse. As The ETL definition suggests that ETL is nothing but Extract,Transform and loading of the data;This process needs to be used in data warehousing widely. The simple example of this is managing sales data in shopping mall. If user wants the historical data as well as current data in the shopping mall first step is always user needs to follow the ETL process.Then that data will be used for reporting purpose. ETL tools are widely used in data migration projects. If the organization is managing the data in oracle 10 g previously and now organization wants to go for SQL server cloud database then there is need to migrate the data from Source to Target.To do this kind of migration the ETL tools are very useful. If user wants to write the code of ETL it is very time consuming process. To make this simple the ETL tools are very useful in which the coding is simple as compare to PL SQL or T-SQL code.So ETL process i very useful in Data migration projects. Now a days big organizations are acquiring small firms. Obviously the data source for the different organizations may be different.We need to integrate the data from one organization to other organization. These kind of integration projects need the ETL process to extract the data,transform the data and load the data. The big organizations always gives different application development to different kind of vendors.Means not a single vendor is managing everything. Lets take example of Telecommunication project where billing is managed by one company and CRM is managed by other company.If CRM company needs some data from the company who is managing the Billing. That company will receive a data feed from the other company. To load the data from the feed ETL process is used. Hope you get the idea about the different examples of ETL after understanding of ETL definition. The choosing the ETL tool is very difficult thing. You need to consider lot of factors while choosing the correct ETL tool according to the project.Choosing the ETL tool for specific project is very stratagic move even you need it for a small project.Make sure that ETL tool migrations are no small efforts.In this section i would like to give you some bullet points to consider while choosing your ETL tool. ETL tool should be communicate with any source of data no matter where it comes from.This is very critical. Moving and changing a data requires some serious processing power. So you need to check the performance factors. Matching,Merging and changing the data is very critical.ETL data should provide these and many transformation packages which allow modifications to the data in transformation phase with simple drag and drop. Your data is not clean. The only way to leverage your data when your data is consistent and clean. Once the ETL is ready you need to check that ETL will work on previous data as well as new coming data. You are playing with the organization data while doing the ETL process.So Choose vendor who is very well known in the industry and whose support is really great. These are different bullet points you need to remember while choosing your ETL tool.Hope you will get the idea about the ETL definition as well as different real life examples of ETL. 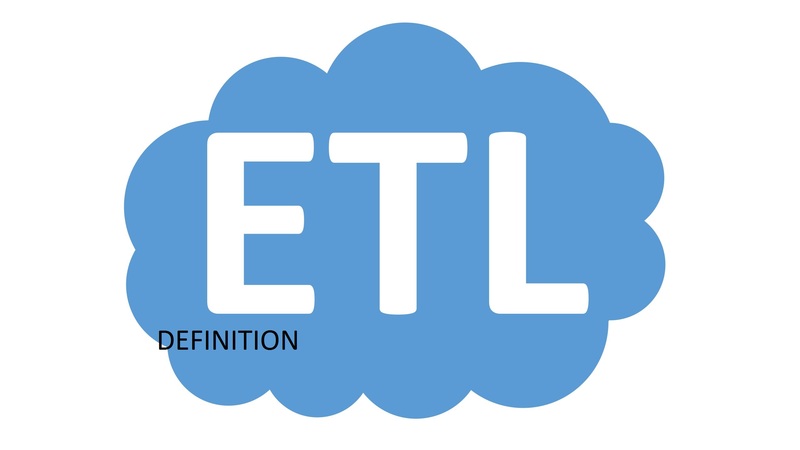 Hope you like this article on ETL Definition.If you like this article do not forget to comment it in comment section.